Xpressbet mobile includes a modern and efficient wagering platform with amenities such an intuitive interface, live video and seamless deposit and withdrawal methods. The mobile betting app is fully compatible with iOS mobile devices, while Android users must settle for a streamlined mobile site. 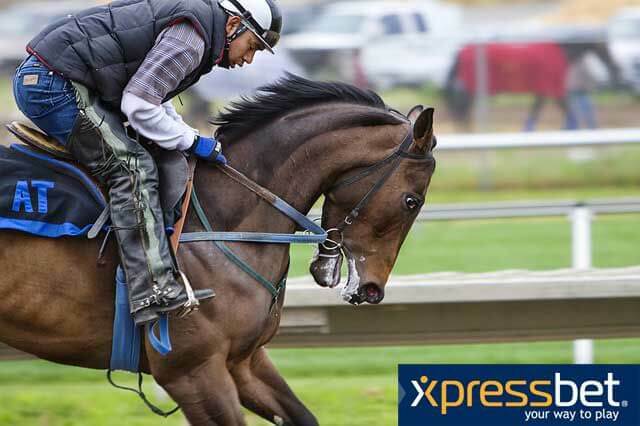 Regardless of the platform of choice, Xpressbet mobile makes betting on thoroughbred, quarter horse and harness racing a convenient and enjoyable experience. The Xpressbet mobile app is completely free, but has some minimum system requirements that users should be aware of. Apple mobile devices such as iPad, iPad mini and iPhone require iOS 9 or newer versions, while Android customers accessing the mobile site must have at least Android 5.0. Whether using Xpressbet mobile or the website platform, new members that wager $100 receive a $100 bonus in their accounts the following day. Additionally, if the new account is funded through Xpressfund, a free service that allows customers to transfer money directly from their checking account to their Xpressbet account, bettors receive an additional $25 bonus, pushing the total value of the Xpressbet welcome offer up to $125. The key terms and conditions of the promotion, which requires the promo code SS125, are that customers must wager $100 within 30 days of signing up, and that the bonus wagering credit cannot be withdrawn; customers can only withdraw the gross winnings from the free wagering credit. The recently refurbished Xpressbet mobile service allows bettors to wager on over 300 racetracks across the world, and is complemented by a live streaming video service, a comprehensive race replay library, live odds updates and latest results. The instinctive menu, which is easily accessed from the top right hand corner of every screen on the Xpressbet app, allows for one-click access to account balance and other features such as tracklist, deposit and withdrawals and race replays. The integrated live video module can be accessed directly from the tracklist or the versatile wager pad. From fixed odds bets to exotic multi-leg wagers, Xpress mobile offers the same comprehensive mix of betting options that customers using the website or phone service can choose from. How can I place a bet with Xpressbet? From watching live races to compiling an assortment of betting slips, bettors can do it all via the wagering pad available on the Xpressbet mobile app. This innovative feature keeps betting tickets at the bottom of the screen at all times, allowing users to scroll through different race lists and other information while never losing sight of their bets. All current odds and race conditions are also accessible through the wagering pad. Topping it all of is the live video feature which allows bettors to watch live races and replays from over 300 racetracks. Through one click from the main menu app users can access the deposit screen on Xpressbet mobile, where numerous ways to fund accounts are presented. These include Xpressfund, credit and debit card, NETELLER and PayNearMe. Information and instructions about other deposit methods such as personal check, wire transfer and direct deposits at Xpressbet welcome centers is also available through the app. Deposits are free and instant when conducted through Xpressfund, which new members can register for online. Other payment methods, such as credit or debit card and PayNearMe, incur fees ranging from $3-$5. The Xpressbet app makes withdrawing funds equally seamless, though the withdrawal methods aren’t as comprehensive as deposits. Again, through one click users can access the withdrawal section on the app and choose to either claim their funds via check, PayPal or Xpressfund, which sends the money directly to the customer’s bank account. Checks are mailed within one business day and come without any fees if processed through standard delivery. Xpressfund withdrawals are also free and reach the customer’s account within 8 business days, or immediately after a first Xpressfund deposit has cleared. PayPal withdrawals are likewise free. Xpressbet mobile grabs users’ attention with a sleek design and easy-to-navigate interface, which are backed up by a host of engaging features that make the Xpressbet app perfect for betting on horse racing whether at home or on the go. A market leading app in every sense, Xpressbet mobile delivers on multiple fronts. From a host of wagering options that are easy to access and navigate through, to the ability to watch live racing and peruse through video replays, the Xpressbet app is laden with features that make betting on horse racing convenient and enjoyable. 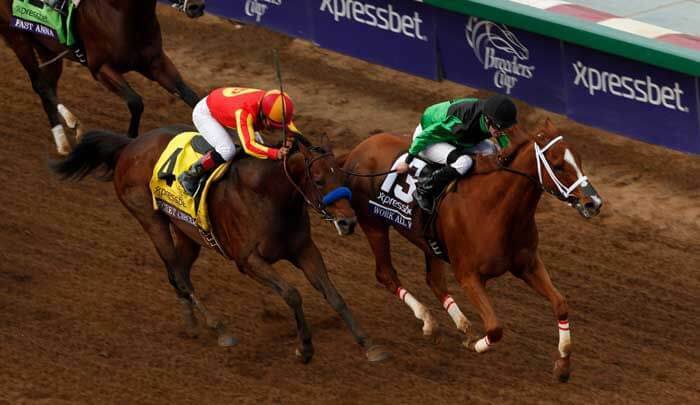 While an Android version of the app is an absolute must in the near future, there are few other notable shortcomings in what is truly a world-class betting product, one that allows horse racing fans to take the excitement of the sport wherever they go. New users are treated to live information and good guidance on how to pick winners from the plethora of betting options, and are also eligible to earn a generous welcome bonus.